While many Photoshop instructors focus on features and tools, Richard Harrington covers both the specific skills and techniques you'll need for professional success. Understanding Adobe Photoshop goes beyond the school newspaper or internship and teaches you the essential digital imaging techniques in Adobe Photoshop that you'll need to succeed both in the classroom and the workforce. Professional photographers join Scott Bourne and Richard Harrington to discuss the latest in digital photography and answer questions three times each month on the Photofocus show. You can also get additional photography information at the Photofocus.com site. The show publishes to the feed on the 5th, 15th and 25th of each month. 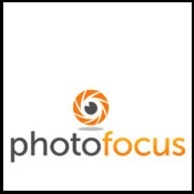 Send your photo questions to photofocuspodcast@gmail.com. Richard Harrington and Robbie Carman show you how to create professional video on the Mac. In this series, they share videos and project files using real world examples in Final Cut Studio and Adobe Creative Suite. From pre-production to post, and accomplishing it all within a tight schedule, this podcast series gives you a sample of what you can learn using their book, Video Made on the a Mac.